826NYC wants to partner with your school, community-based or nonprofit organization to create customized writing programs for your students. 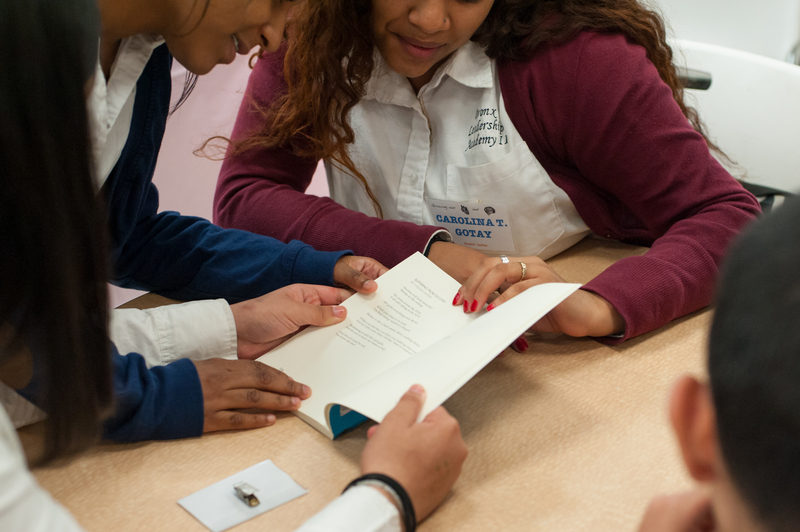 If you’re a school, we will run a comprehensive in-class residency that not only aligns with the literacy curriculum in your classroom, but that also results in a perfect-bound publication for your student authors. If you’re an organization that works with students and would like to partner with 826NYC for a publishing project, all of the above requirements apply other than a Title 1 status. Please reach out to our Director of Education, Alana Benoit at alana@826nyc.org or 718-499-9884 ext 701 with any questions, or to book your residency today!